BARRIER LIP | Dock Door Systems Inc.
McGuire’s Barrier Lip Leveler prevents lift trucks from driving off the edge of the dock in both the stored cross traffic and below dock end loading position. 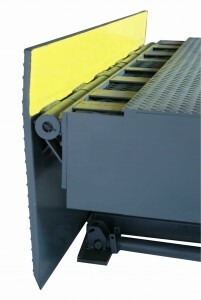 When in use in the back of a trailer the Barrier Lip offers a smooth transition between the platform and lip. The McGuire Barrier Lip Leveler provides full time protection while allowing end load operations. 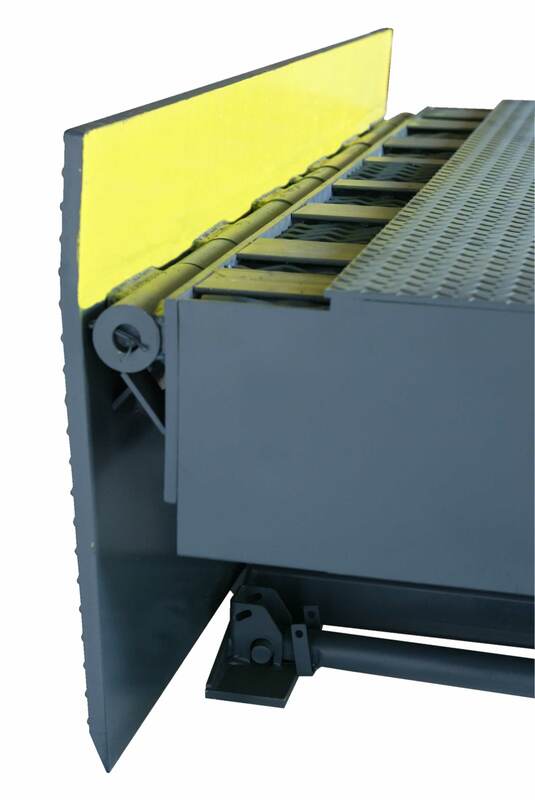 When utilized with a McGuire hydraulic leveler and vehicle restraint, the Barrier Lip offers the best combination for unsurpassed dock safety. Rated to withstand being impacted by a 10,000 lb load moving at 4 m.p.h.